Roads help us get from work to home and from school to the bar. Roads are also a big contributing factor to a country’s economy. Trucks carry goods to the stores. Cars carry business people and vacationers to different locations so they can spend money there and keep the economy going. A road is a good indicator of a country’s wealth and condition of life. 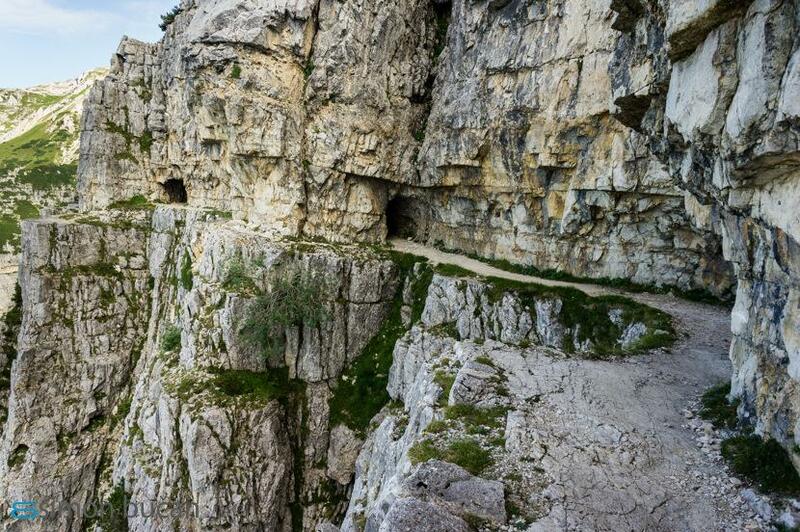 Here are some of the world’s most dangerous roads to drive on. It may come as a shock that some of them are in the United States. Completely unpaved, but also completely on the Himalayan mountains, so I guess there’s no surprise there. 2.) The James Dalton Highway, Alaska. The wind is so powerful up here that it sometimes picks up large sized rocks and hurls them at your car. Also, this road is mostly covered in heavy snow. 3.) I-15 from Las Vegas to Los Angeles. This one 180 mile stretch from Las Vegas to Los Angeles has had more fatalities than anywhere else in Nevada due to a combination of extreme drinking and driving and lack of seat belts. This gives a grim meaning to the famous “What happens in Vegas stays in Vegas” slogan. 4.) Guoliang Tunnel Road, China. 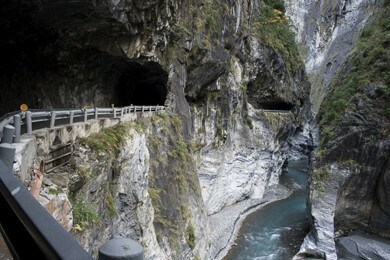 The thing that makes this particular mountain tunnel in China scary is that it was not professionally done. The villagers of the nearby Guoliang decided to do it without authorization by the state because they felt they were secluded from the rest of society. It’s a nice sentiment, but I’m sure travelers would appreciate a road that doesn’t constantly have loose rocks falling down on them. Known as the “Killer Highway” in the Philippines’ Quezon City, this road killed many pedestrians and cyclists due to the awful regulation and enforcement of traffic laws in the region. The tricky part of this road is that, although it’s situated on Colorado’s Red Mountain Pass in the San Juan Mountains, there are no guardrails. Seems safe, right? 7.) U.S. 24 Fort Wayne to Toledo. There’s a certain part of this route affectionately called the “killway” because of the deadman’s curve that causes cars to collide with tractors hauling factory materials. This road in northern Montana has a high fatality rate. This is mainly due to the slow response time of emergency vehicles in the sparsely populated area (roughly 80 minutes). 9.) North Yungas Road, Bolivia. Cheerfully known as the “Road of Death” by Bolivians, buses and trucks fall into the deep valley below this road so often that it is listed as the most dangerous road on Earth. One 8 mile stretch on the way to Norwalk, Connecticut is responsible for 10 percent of all accidents in the state. This is due to the congestion of the city and tricky hills. Blind curves and sharp turns make this the most dangerous road in Taiwan. Nicknamed the “Highway of Death,” this road claims thousands of lives a year due to poor maintenance. The roving gangs of bandits that stop and rob cars don’t help, either. 13.) Skippers Canyon Road, New Zealand. This New Zealand road is so dangerous that it requires a special permit to drive its sprawl. Many starry-eyed drivers have careened off the cliffs of this beautiful road, distracted by the astounding view. Luckily, Italy decided to reserve some of the more dangerous parts for walkers only. Keep these in mind the next time you take a road trip, although some of these are the only routes through certain states for miles. Also, maybe don’t attempt to drive through the Himalayas. Just an idea. I Wouldn’t Walk Down Any Of These Roads If I Were You. The World Is A Weird Place, According To Google Earth. These 18 Images Are Awesome And Wrong. When This Cop Pulled A Woman Over, He Never Expected To Save Her Life. WOW. These Photographs Seem Like They Were Taken In A Fantasy World. Do These Images Prove That Real Conversation Is Dead? No These Aren’t Crop Circles, Wait Until You See What This Artist Does In The Snow. You May Do This All The Time Without Realizing It, But It Never Looks This Cool.